Roofers' roof. Contractors, by their nature, have a very broad focus. They do a little bit of everything, from landscaping to kitchen remodels, because their business is built upon selling additional services other than what you might have requested originally. You call with roof damage - they want to sell you things that should be part of your roofing system. 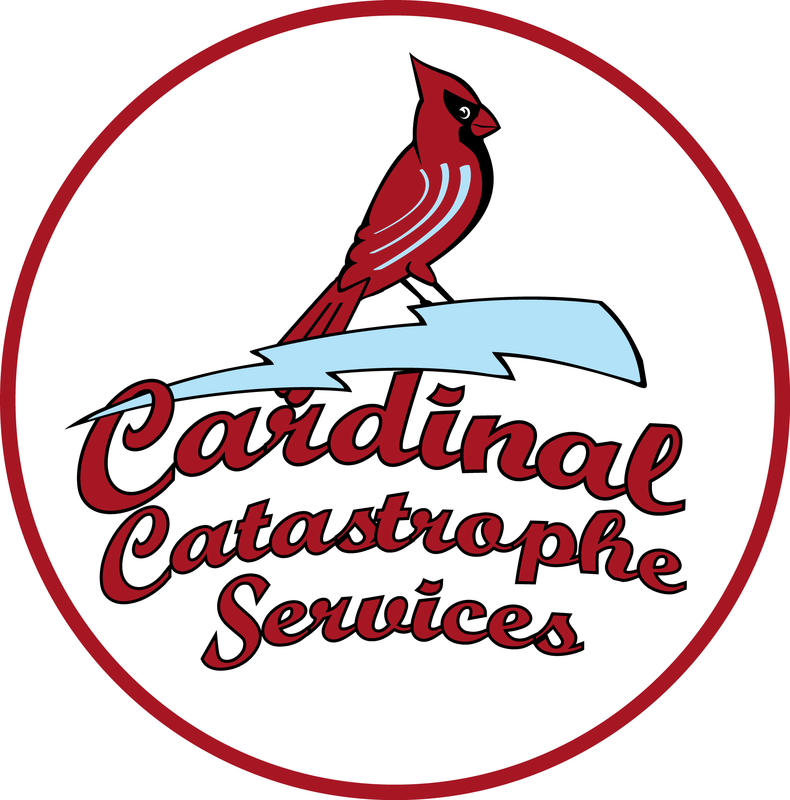 At Nashville Catastrophe Services, we are specialists - we ONLY do insurance claims. Ask a generalist what A.C.V. means, or have them describe how non-recoverable depreciation may be applied to your claim. We have the experience and knowledge to get your property restored, because all we do is insurance restoration projects. We focus solely on storm damage and insurance claims, and we are one of few companies that do so. Beware of imposters: "storm chasers" that set up offices in town following a storm and disappear when they have made their money or new companies who are 'insurance claim roofers' temporarily due to slow work in their normal field. Nashville Catastrophe Services is based in your neighborhood, in Murfreesboro, and is the only true storm damage and insurance claim company in the area. Our success is founded on two principles: How we treat our business, and how we treat our clients. Our Project Managers have completed hundreds of insurance claims, and nearly all of our clients have received a full roof replacement - and their only out-of-pocket expense was their deductible. A generalist might be able to get your roof replaced, but he'll miss the details as he is only looking at your roofing damage. We all know when mother nature strikes, she usually does more than roofing damage. We perform an entire property inspection and will look at all details which may include all soft metals, gutters, fascia, downspouts, window screens, garage doors, siding, deck, and A/C units. We will find all storm damaged components of your house and resolve to have them fixed. Our principal area of expertise is meeting with insurance adjusters and ascertaining the scope of the storm damage. We pride ourselves on our quality. We have an Internal Quality Assurance staff who assist on every project to ensure that our exacting standards are met - every time. We perform a 25-point Quality Assurance Punch List at the end of every project. This comprehensive checklist includes everything from drip edge inspection to an eave and rake flush check. We are so confident of our quality, all of our projects offer a minimum of a 3 year warranty, and many offer 5-10 years of protection. Extended warranties are available with our intense weather packages. Xactimate is the risk industry standard price estimating software. Nashville Catastrophe Services uses Xactimate software to eliminate negotiation and disputes. Since we understand before the adjustment what the price will be, line item by line item, we are only agreeing on 'scope of damage.' The price has already been agreed upon. This cuts out the "bidding" process. Additionally this allows us to add items to your claim which may have been missed without issue. Our clients are our lifeblood. We are here to solve a real problem in their lives and return their quality of life to the level they enjoyed before their home was damaged. As such, we treat our clients with respect, always tell the truth, and perform our services with integrity. Our Project Managers are all bound by a Client Respect Agreement. This requires us to be truthful and honest in our work, from the property assessment to the last shingle and cleanup. We start by telling the truth during your property assessment. A generalist will play the numbers, encouraging everyone to file a claim, hoping that at least a few will be approved. At Nashville Catastrophe Services, we are honest in our assessment of damage. We do not counsel our clients to file insurance claims on marginal storm damage. We do not aggressively up-sell. Our staff is trained to identify storm damage, not sell you a shingle upgrade which should be part of your standard roofing system. Our 25-point Quality Control Punch List ensures that at the end of our work, all expectations are met and often exceeded. The National Roofing Contractors Association is the construction industry's most respected trade association and the voice and leading authority in the roofing industry for information, education, technology and advocacy. The N.R.C.A. directs residential roofing code nationwide and most metros follow their guidelines when performing roofing code enforcement inspections. Not all municipalities have code enforcement for residential roofing in our area, so roofers, contractors and "storm chasers" do FAR less than a quality job on roofing systems they build because nobody is checking their work. Nashville Catastrophe Services follows all manufacturer suggested procedures and N.R.C.A. Guidelines for all projects. Someday, we'd like to think that there will be more residential roofing code inspections and enforcement. When that day comes, Nashville Catastrophe Services will already be building their roofing systems the right way. 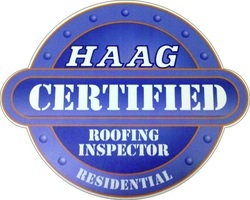 Haag Engineering sets the standard for roof replacement inspection in which the risk industry follows. Nearly all insurance adjusters follow Hagg's standards. Nashville Catastrophe Services employs Project Managers who have passed their residential roofing inspector examination and carry a Haag Certified Residential Inspector certificate. In many cases, we have more education than your insurance company's adjuster does, and certainly more than a generalist.